Bradley's favorite thing to do (by far) is play with his toy kitchen and pretend to cook us food. When he wakes up in the morning, the first thing he asks is to go downstairs and cook, so I find it super important to let him help me out in the kitchen wherever he can. It's fun for both of us and is a good tool to teach him healthy eating habits! His favorite thing to make is homemade pizza since he loves spreading on the sauce and sprinkling on the cheese. 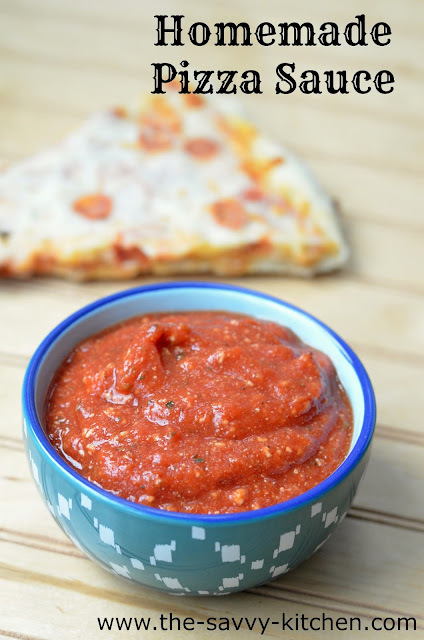 I made a big batch of this homemade sauce and keep frozen dough on hand (and let's be honest…I always have cheese on hand), so we can easily whip up some homemade pizza whenever the craving calls. It's a fun activity for the whole family. Enjoy! Combine all ingredients in a bowl. Allow to sit at room temperature for 30 minutes. Use as desired. 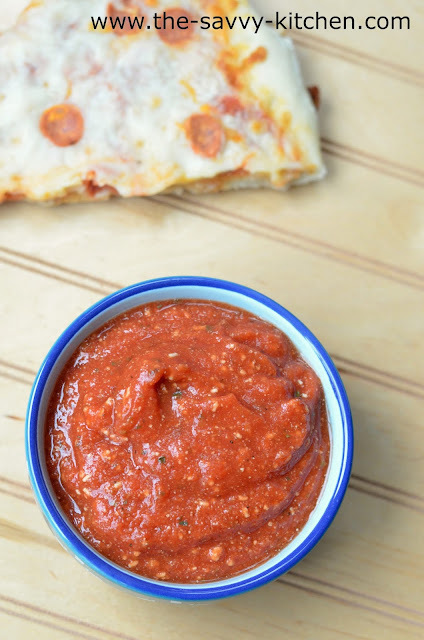 You can freeze this sauce for up to 6 months. Are you trying to start the New Year off right…beginning with a healthy diet? 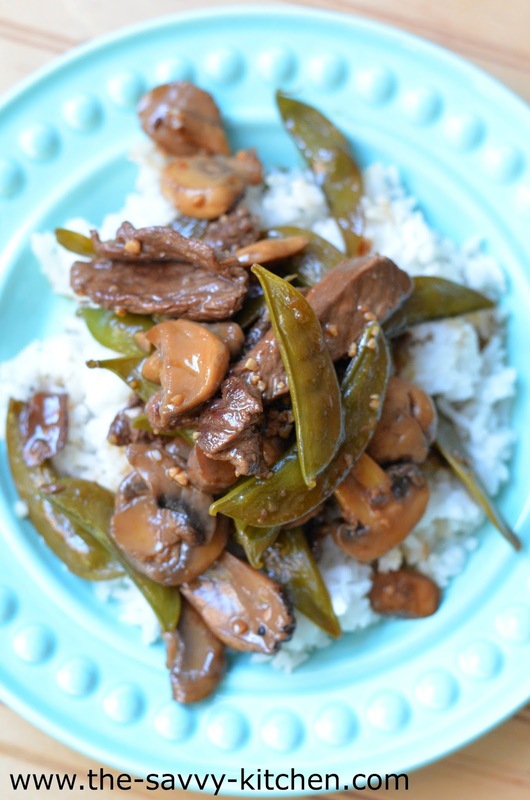 Stir-fry recipes are the way to go if that's what you're aiming for. Just pick a protein and a ton of vegetables, and you've got yourself a filling and health-conscious meal. 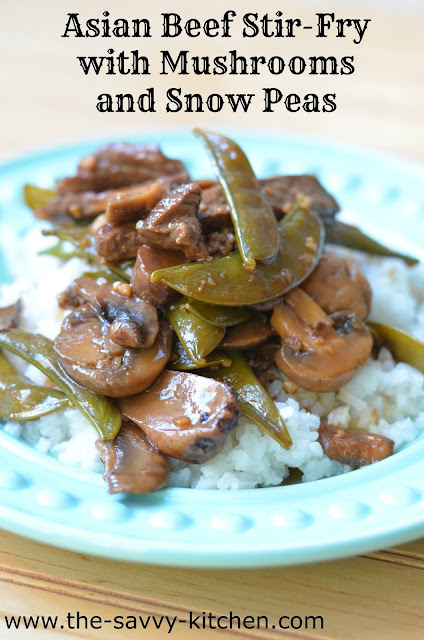 Soy sauce-based stir-fries are my favorite, so I usually tend to go that way with the sauce. Plus it's something I always have on hand, so not only is it delicious, but it's convenient. Enjoy! Combine all the sauce ingredients in a bowl and whisk to combine. Set aside. Bring water in a medium pan to boil. Add snow peas, boil them for 5 minutes, drain. Set aside. Add 2 tbsp. to a large skillet over medium heat. Add mushrooms and cook until tender. Remove and place in a bowl. In the same skillet, heat the remaining 2 tbsp. oil over medium-high heat. Add the meat in an even layer (you might need to do this in two batches). Cook for 1-2 minutes until nicely browned, then flip and brown the other side. Remove from skillet and repeat with the remaining beef. Return all of the cooked meat back to the skillet. Add the snow peas, mushrooms and sauce. Cook for 1 minute or until heated through.